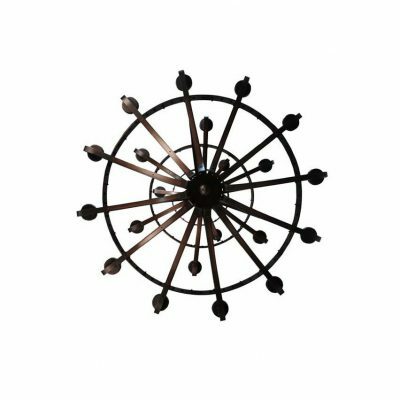 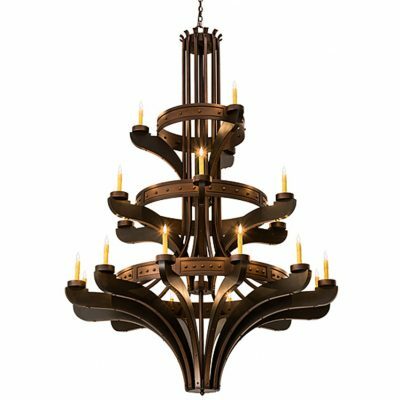 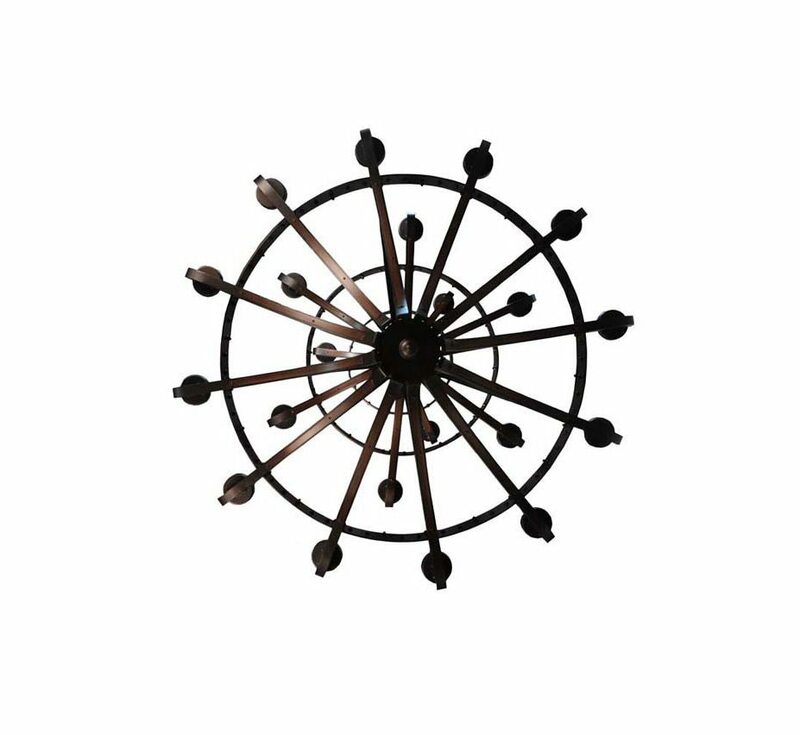 Categories: Extra Large Wood & Iron Chandeliers – 43″ & Above, Browse By Category, Chandeliers, Wood & Iron Chandeliers, Extra Large Wood & Iron Chandeliers - 43" & Above, Browse By Style, Wood & Iron Lighting, Wood & Iron Chandeliers Tag: Made In The U.S.A.
SKU: Meyda 115048 Categories: Extra Large Wood & Iron Chandeliers – 43″ & Above, Browse By Category, Chandeliers, Wood & Iron Chandeliers, Extra Large Wood & Iron Chandeliers - 43" & Above, Browse By Style, Wood & Iron Lighting, Wood & Iron Chandeliers Tag: Made In The U.S.A. Decorative and enchanting, rich charm and and elegance come to light with the Castilla chandelier, which is designed as a dramatic centerpiece for foyers, ballrooms and other large spaces. 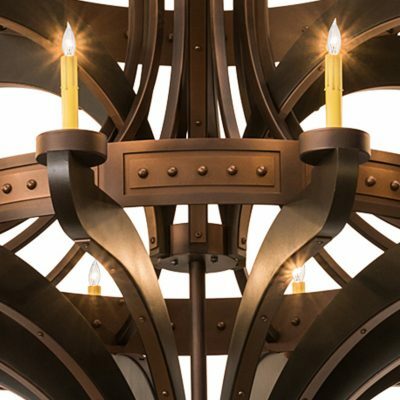 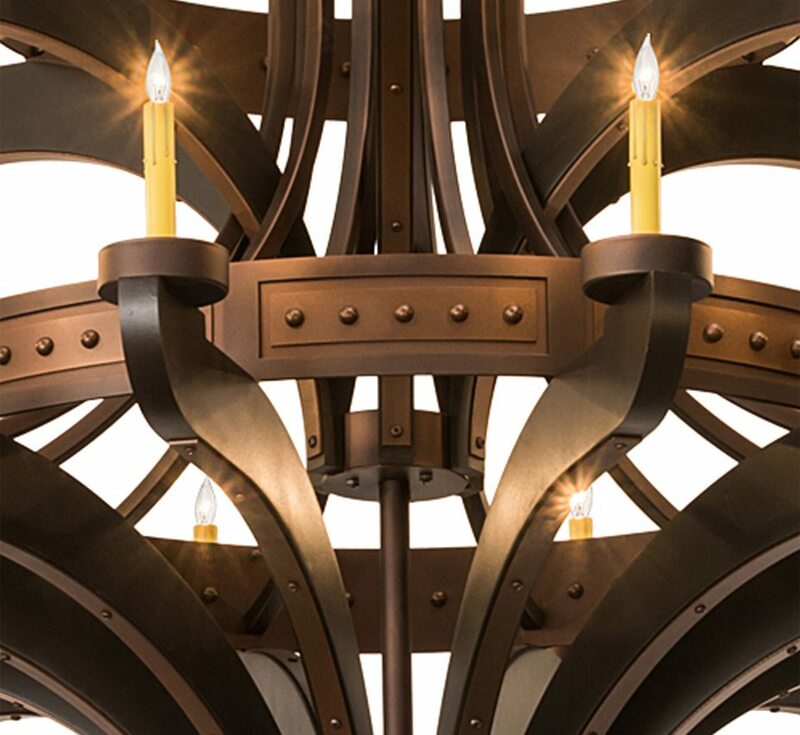 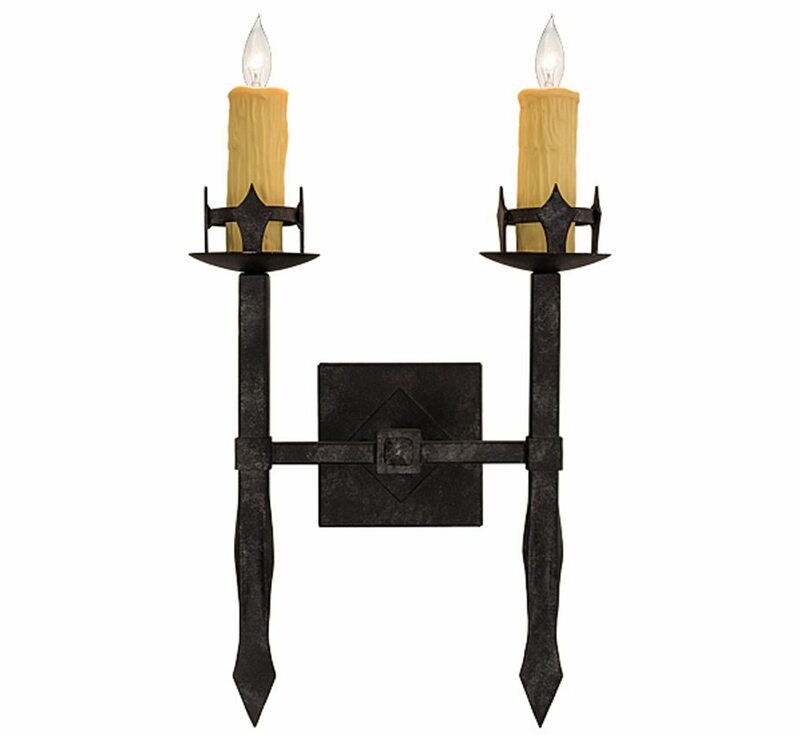 The fixture features 21 faux candlelights perched on bobeches across three tiers with hand-forged Iron hardware featured in two complementary Mahogany Bronze or Smoke finishes. This fixture is available in custom sizes, styles, colors and dimmable energy efficient lamping options such as LED. 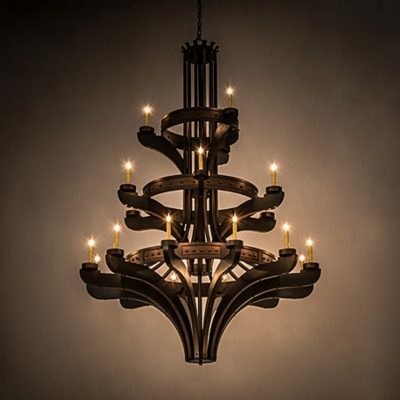 This chandelier is UL and cUL listed for damp and dry locations.  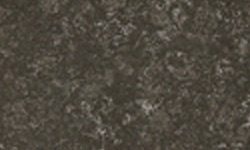 Handcrafted by highly skilled artisans in USA.